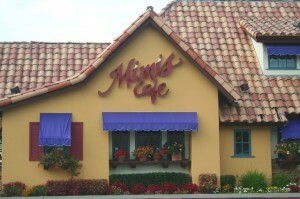 Since it was Labor Day, the Nordic Warrior Queen and I went to Mimi’s Cafe for a nice breakfast. She likes the cinnamon French toast, and I didn’t want to cook. I wish now we’d stayed home. A dreadlocked young woman came over and introduced herself as Glinda. I couldn’t help it. “You mean like the Good Witch of the North?” I love the Wizard of Oz. I ordered coffee, and the Nordic Warrior Queen asked for a small tomato juice. The menu listed gourmet dishes, Crab Cake Florentine and Quatre Fromages Quiche. Do people really eat that stuff? This isn’t France, for Christ’s sake. What I really wanted was huevos rancheros, but it looked the closest thing was a Five-Alarm omelette. One of their signature items. I like lemon poppy seed. “Blueberry, please,” replied my wife. The waitress took our menus and went back for more coffee. I admit, I’d enjoyed having fresh muffins in the house. Our meals arrived quickly. The Five-Alarm omelette looked nothing like the picture, and had all the spice of Quaker instant oatmeal, but the hash browns were good. I tried a bite of her French toast. Delicious. I could see why she enjoyed coming here so much. A cop waited by the hostess stand. The manager removed a video player from beneath the counter. 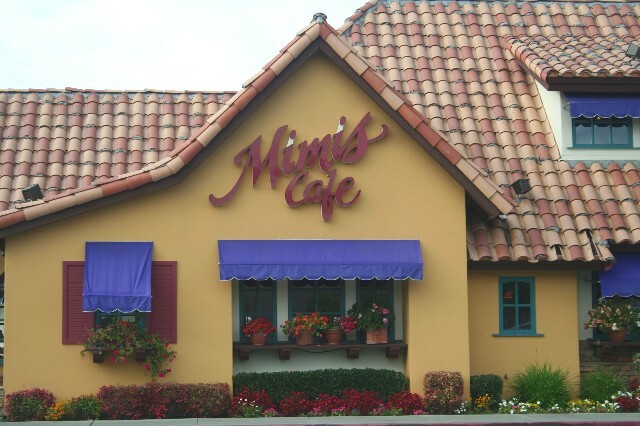 The screen showed multiple clips of my wife walking out the front door of Mimi’s Cafe, a bag of muffins in her hand. The cop slapped the cuffs on her, and led her to the squad car. There was nothing I could do. I followed them down to the Deer Valley police department. Since it was Labor Day, it took two hours before I could post bail. Turns out she was very popular in jail. The muffins were a big hit with her fellow prisoners. She now has new friends with nicknames like Bonnie Blackest, and Emma the Embezzler, and she got the name for a great tattoo place in Ahwatukee. The hearing date is set for November 13th, the day before her birthday. I sure hope she’s not in jail for her 50th. I’m planning to take her out for a nice breakfast.